Are you dissatisfied with your abs? Does it seem a distant dream for you to own a rock-solid center? Can you only hanker in vain for the chiseled magnificence of a Greek statue? Have you given up on owning the tensile functionality and explosive power of a cage-fighter’s core? 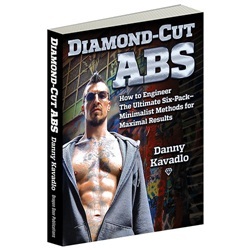 How sure are we that Diamond-Cut Abs (paperback) will work for you? 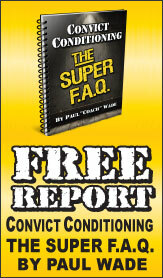 Simply fill out the form below and put Diamond-Cut Abs (paperback) to work for you right now. Obviously, we would go out of business if Diamond-Cut Abs (paperback) didn't work, the way we said, right? With the promise of a full refund if you're unsatisfied, you have nothing to lose by trying Diamond-Cut Abs (paperback). Go ahead and try it today. Are You Dissatisfied With Your Abs? Does it seem a distant dream for you to own a rock-solid center? Can you only hanker in vain for the chiseled magnificence of a Greek statue? Have you given up on owning the tensile functionality and explosive power of a cage-fighter’s core? Then that’s a crying shame. Because, let’s face it, the abs are the measure of a man. Like it or not, there’s a reason our culture is obsessed with abs: they signal egregious masculinity. Guys, you can pump away at those guns all you want—but your gut speaks the real truth about your stature as a man. So, to give up on your abs, in our culture, is to quit on being a real man. You’ll lose respect from others and you’ll lose respect for yourself. Don’t be that guy! You don’t eat right. You don’t drink right. You don’t rest right. You don’t live right. You don’t practice right. You don’t do the right exercises in the right way for YOU, at the right time and in the right progressions. Almost certainly, you are not motivated right. And you haven’t been inspired right—fired up right. The good news is that any and ALL of these issues can be fixed—if you just put into practice the life-saving wisdom of a Man whose "diamond-cut" abs do all the talking for him. Call him the Mensch of Abs, if you will—Mr. 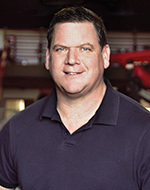 Danny Kavadlo. But be warned: this is going to mean being prepared to work like a MAN on your body—in EVERY dimension of your life. If you are looking to gain respect—or regain respect—then you are about to discover everything you need to know, to make it happen for real. In the Abs Gospel According to Danny, training your abs is a whole-life endeavor. It’s about right eating, right drinking, right rest, right practice, right exercise at the right time, right motivation, right inspiration, right attitude and right lifestyle. So, yes, all of this Rightness gets covered in Diamond-Cut Abs. But let’s not confuse Right with Rigid. Apprentice in the Danny School of Abs and it’s like apprenticing with a world-class Chef—a mix of incredible discipline, inspired creativity and a passionate love-affair with your art. I spent the morning reading and flipping through this book... Dragon Door Publications has outdone themselves with this one... wow... this is one of those books you don't want to put down because you are excited to see what is going to be on the next page... it's a beautiful book... Danny, as usual, kills it... having done some writing myself, I understand how hard it can be to convey your personality through the work... with the combination of the information and some brilliant photography, Diamond-Cut Abs is one of those books where you can see Danny's personality gushing off the pages... the information is so valuable because it is coming from someone with serious cred on the matter... There are photos of he and Al doing feats of strength that are other worldy... the routines, the diet the philosophy are coming from a man who lives it... Congrats Danny and DD for another homerun. Finally the definitive guide to building strong, rock hard, defined abs. Danny has really kicked it up a notch with this book. It is easy to read, has great personal insight and the pictures are awesome. It is a great read and it gives you a clear cut path to effectively developing your abs the right way. The book contains great nutritional information that is easy to follow because it makes sense. The best way to reach your goal is to make it simple, and Danny has done that with this book. 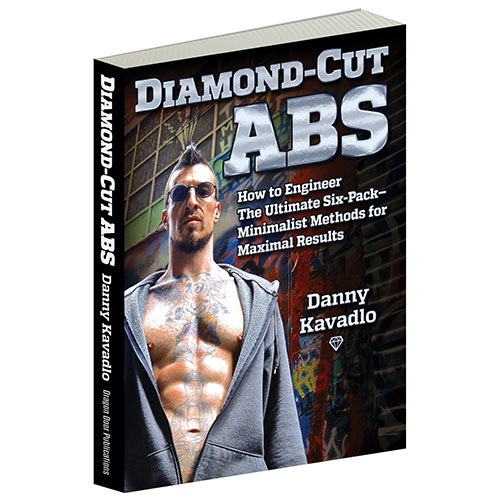 As someone that does not have diamond cut abs, I cannot wait to see what I can do with the awesome info and plan Danny has created. 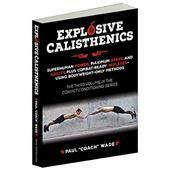 If you want to develop abs that work as good as they look, this is the book and the way. In my opinion this is the best book on abs I have ever read. Buy it, follow it and you will not be disappointed. Rated 10/10 Diamond-Cut Abs for a Healthier/Stronger Life! This is more than just a book about abs. Danny takes his readers through a series of habits that motivates us all to lead a healthier lifestyle--on the outside AND the inside--complete with energy and humor that makes you want to go through the entire book in one setting! Some of the highlights include learning how to find more appreciation for the naturally healthy foods we eat, learning how to work the abs within the context of total body tension and learning how to see past the typical marketing hype involved in mainstream diets or whack supplements that we might waste our time and money on. 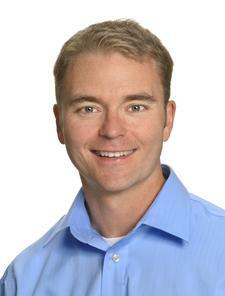 He even takes his readers through a look at his own, no-nonsense, food intake over the course of three typical days to demonstrate the simplicity in practicing what he preaches. Make no mistake, however, Danny never tries to mislead his readers in saying that the journey to achieving Diamond-Cut Abs will come easy. 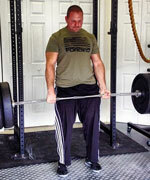 In fact, he emphasizes just the opposite of what many fitness "experts" or supplement companies tell us. In this capacity, "the joy is in the journey" theme reigns true more than ever before--which separates it from other popular abs books. Then get your copy TODAY = right NOW. You won't EVER regret your purchase, as Danny Kavadlo speaks the TRUTH. Rated 10/10 Buy this book ASAP! 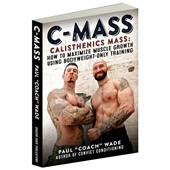 This is by far the best book i have ever read on the subject of abs and total fitness. The nutrition section is worth the price of the entire book alone. Easy to read, to the point, entertaining and holds your attention. Could not put it down. Thank you Danny Kavadlo and Dragon Door for making this fine book available. Rated 10/10 Eat your food! 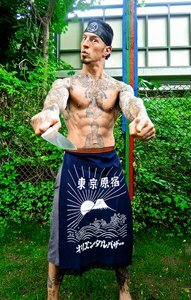 Danny has crafted the most truthful book about abs, and more importantly, about honest and healthy eating I've come across yet. I had the opportunity to attend the November PCC in Milwaukee and believe me Danny and his brother Al fully actualize that fuzzy area where Art and Action live together. Humble straight shooters who launch into the most badass physical displays. I read and re-read Diamond Cut Abs feeling inspired. Thank you, Danny. At first glance, I thought "Am I about to read a Big Tymers cd book" but after reading on the pictures became funny and made sense. Diamond Cut Abs is not just about abs. Its about lifestyle to achieve healthy abs and what it means to have healthy abs. This book covers exercise movement, philosophy and nutrition. 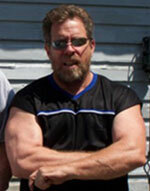 A full package with awesome exercises and programs. If you read this book, follow it and don't get results, go see your doctor as soon as possible because something must be wrong. Rated 10/10 Really enjoyed this book! 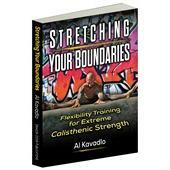 This book is visually stunning, entertaining, and extremely helpful as I am preparing for the Progressive Calisthenics Certification (PCC). I am glad that Danny reminds people that how our bodies look is based on what we eat AND how we move --- and he provides useful information on both fronts with something for every fitness level. This book will make you want to spend more time exploring movement with your feet off the ground -- and your abs will thank you! ?Diamond-Cut Abs? has greatly helped me to be focused on what really counts to achieve my goals. Thanks for being so honest on what works. After reading a number of other books, this book is refreshing. 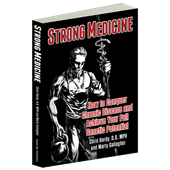 Rated 9/10 An amazing manual to help you train your "core"
I have to admit I was a little skeptical of this book given the title -- it sounds like one of those articles you read in a "health" magazine -- "how to get ripped in minutes a day!" Instead the book is an amazing mix of exercises, thoughts on diet and health, and general exercise philosophy. After reading this book I really look forward to meeting Danny in person someday. His life experience is a welcome addition to the manual. The section on food and eating both for health and for developing a particular physique are helpful and honest. Above all, this is a book about getting strong and looking good. Definitely recommended. I purchased this book recently and at first was a little disappointed because it looked like it was just full of pictures of people with great abs, but after I actually started to read the material it became crystal clear what the hype was about. 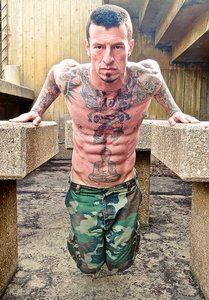 Danny demonstrated that the workout is only a quarter of the battle, diet and common sense are what completes a solid body. As a martial arts instructor I conduct a conditioning class on Sunday mornings for the adults and I was able to use Danny's techniques and will continue to do so. 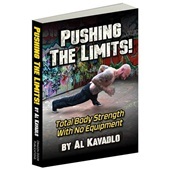 I am 54 years old and have never been in better shape thanks to the Kalvadlo Bros, Anthony DiLuglio, Max Shank and to Dragon Door publications for publishing great reference material for living!